This year, we are once again proud to be sponsors of “Affordable Christmas,” an event put on by our good friends over at Current. 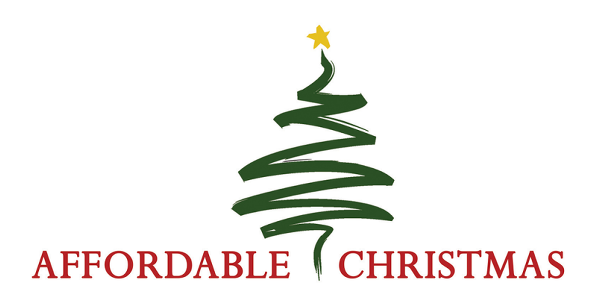 Affordable Christmas is a shopping event, hosted by the Greater Ridgecrest YMCA and Urban Young Life in Largo, that invites low-income and middle-class families to browse the “aisles” to find gifts they wouldn’t otherwise be able to afford. The gifts are then wrapped for them while they enjoy a meal (and child care), courtesy of the amazing volunteers! We’ll be volunteering that day at the event – Volunteers are needed to help out as cashiers, personal shoppers, gift wrappers and more! This event is always lots of fun. And, we can bring our families along to help! The young ones can even play with other kids in the day care while we volunteer. It will be held on Sunday, December 14 at the Ridgecrest YMCA in Largo from 3-6 p.m.
All you need to do to sign up is visit the Affordable Christmas site and under “Largo Event,” click “Donate” or “Volunteer.” It’s that easy. If you are in the Tampa Bay area and have new/unused items to donate (that meet the criteria on the site), and won’t be able to volunteer, you can drop them off with us. Just shoot us an e-mail. NOTE: This is an invitation-only event. Families who are in need of help will need to register through Pinellas Urban Young Life. This December, we are proud to be sponsors of “Affordable Christmas,” an event put on by our good friends over at Current. It will be held on Saturday, December 7 in Tampa from 11 a.m. to 2 p.m. Affordable Christmas is a shopping event, hosted by Crossover Church, that invites low-income families to browse the “aisles” to find gifts they wouldn’t otherwise be able to afford. The gifts are then wrapped for them while they enjoy a meal (and child care), courtesy of the church! We’ll be volunteering that day at the event – Volunteers are needed to help out as table workers, personal shoppers and gift wrappers! This event is going to be lots of fun. And, we can bring our families along to help! The young ones can even play with other kids in the day care while we volunteer. All you need to do to sign up is visit the Affordable Christmas site and under “Tampa Event,” click “Donate” or “Volunteer.” It’s that easy. Hope to see you all on the 7th! P.S. If you are in the Tampa Bay area and have new/unused items to donate (that meet the criteria on the site), and won’t be able to volunteer, you can drop them off with us. Just shoot us an e-mail. Thanks to everyone at Feeding Children Everywhere who hosted a food packing event in Ybor City during the 2012 Republican National Convention. Our shift alone packed 100,000 meals in two hours that were sent to hungry families within the United States, and the event lasted for three days. 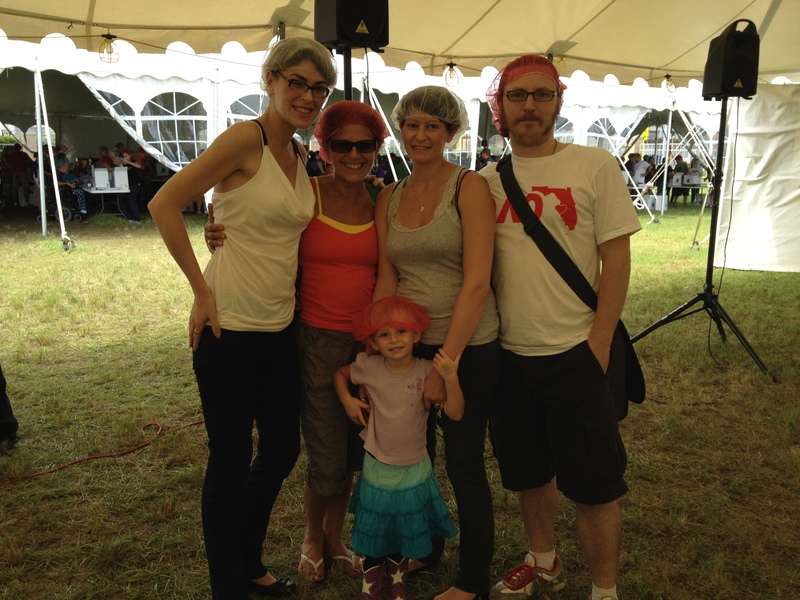 Hoola for Happiness was on-site providing hip-gyrating warm-up activities while we waited for our shift to begin. We were honored to serve alongside all the other churches and community members that came out to support and volunteer.